There can be no climate justice without trade justice. That’s the message sent by the International Fair Trade Movement to the parties gathering for the COP24. * The COP24 comes after the release of a number of reports on climate change. The IPCC report on climate change this fall estimated that we collectively have 12 years to curtail emissions and stay below 1.5C of warming. Above that 1.5C, even a half a degree increase is tied to increasing floods, droughts, weather extremes, and poverty and displacement for millions of people around the world. Yet the report also finds that there are no physical, chemical, or technical hurdles to achieving that 1.5C goal. The obstacle is our collective will to make change. Fair traders have seen the consequences of climate change first hand. Across Latin America, coffee farmers have witnessed the devastating effects of la roya, a fungal disease made worse by changing climate. 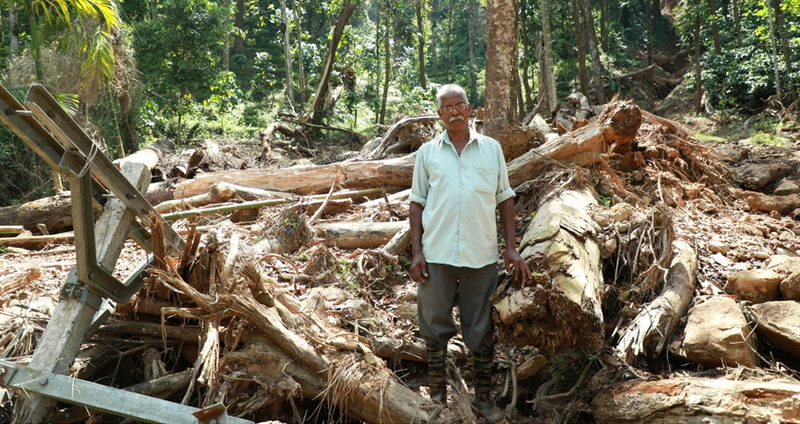 Coconut & cashew farmers in Kerala, India have seen their homes, crops, and livelihoods swept away in devastating hundred-year floods. Around the globe, 500,000 small-scale farmers face similar challenges. So many of these small-scale, often indigenous, farmers have a long history of struggle: against colonial powers, against the exploitation of their labor and natural resources. Now, they are some of the most impacted by climate change when they are least responsible and have benefited the least from its causes. Indeed, take a look at the 100 mostly fossil fuel companies most responsible for climate change and you’ll see a list that includes names all too familiar for the land-grabbing and environmental devastation that small-scale farmers face around the globe. Fair terms of trade have a role in supporting those who are historically marginalized. The International Fair Trade Movement’s statement calls on the parties at the COP24 to include the priorities of small-scale farmers and a vision for trade justice in their conversation. Specifically, they call for five measures aimed at addressing the need to shift the costs and risks of climate change off the backs of small-scale farmers. These measures include transparency, fair prices, and tax justice. They also call for more investment in small-scale farmers, acknowledging their vital roles in our food and farming systems. If we’ve taken anything from this fall’s reports on climate change, it’s that urgent action is needed from all sectors of society. Fair trade partnerships offer a model for business that can enrich all participants. However, business is not enough. Our climate catastrophe and our unjust economic system are built on centuries of investment. We need to shift the balance of power. Governments and bodies like the UN can provide vital financial and regulatory support. Together, we can come together and build a future on regenerative farming and fairness and dignity for all people. 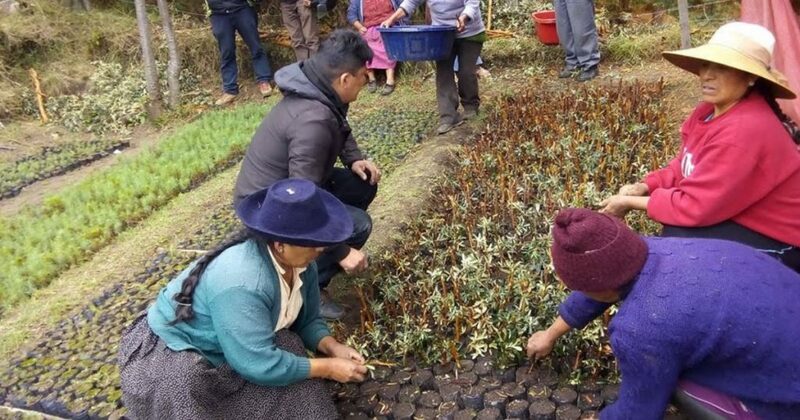 Seedling Nursery for Reforestation at Norandino Co-op in Peru. * The COP24, short for the 24th Conference of Parties, is the group under the United Nations (UN) climate change framework that previously drafted the Paris Agreement. The United Nations Framework Convention on Climate Change established the Conference of Parties (COP) in Kyoto in the mid-90s and they have met annually ever since to agree on emission targets and tactics to address climate change.